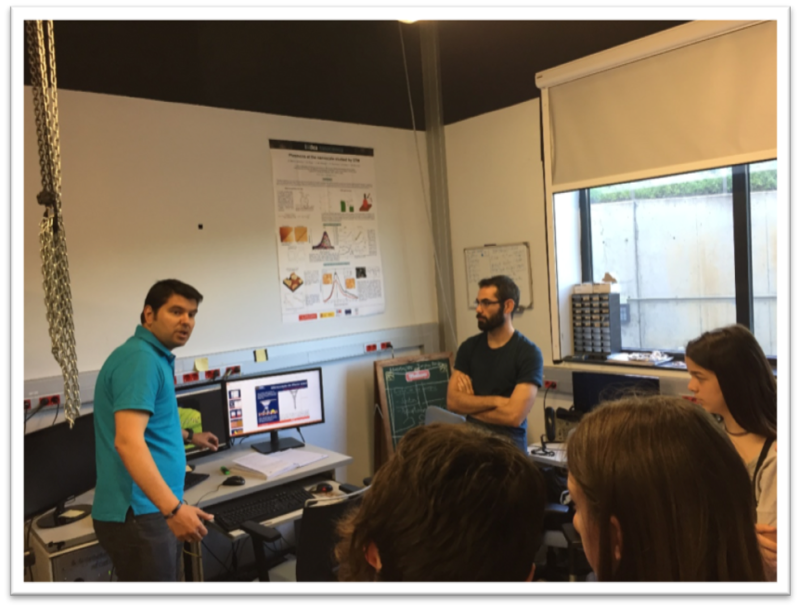 The team led by Dr David Écija at IMDEA Nanociencia last Friday welcomed a group of high school students from a local institute in Madrid. This initiative is part of a programme from the Dirección General de Educación de la Comunidad de Madrid and its objective is to disseminate cutting-edge science to a broader audience and help young students to make better decisions regarding their academic and professional future. Under this programme over 200 high school students visit the institute each year getting a chance to have a hand-on experience and learn about the exciting world of nanoscience. During the event, the students had a chance to visit the molecular nanoscience at interfaces laboratory. 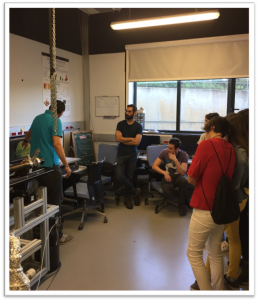 Dr David Écija (co-PI of the A-Leaf project at IMDEA and ERC Consolidator grant holder) discussed with them fundamental concepts on supramolecular chemistry and self-assembly at solid surfaces as well as molecular recognition at interfaces and coordination chemistry. This was supported by a hands-on demonstration and operation of state of the art and unique equipment to the project. Among other topics, the students highlighted their interest in the concept of the artificial photosynthesis, the main research line being developed under the A-LEAF project.